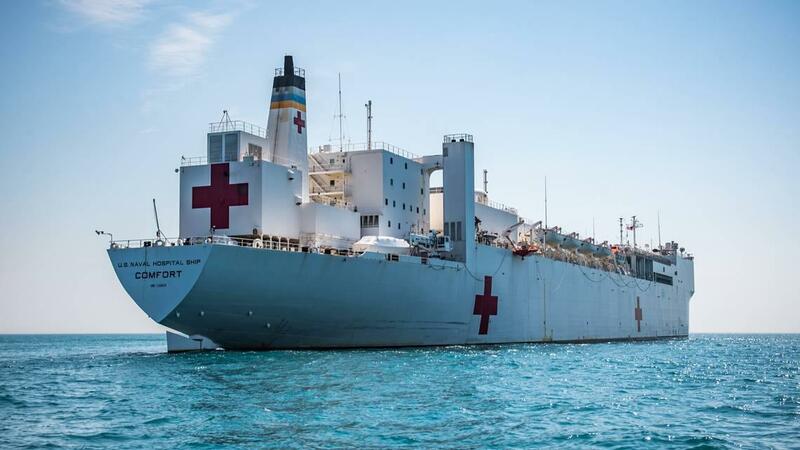 For the next 11 weeks, the naval hospital ship USNS Comfort will visit ports in Ecuador, Peru, Colombia and Honduras. 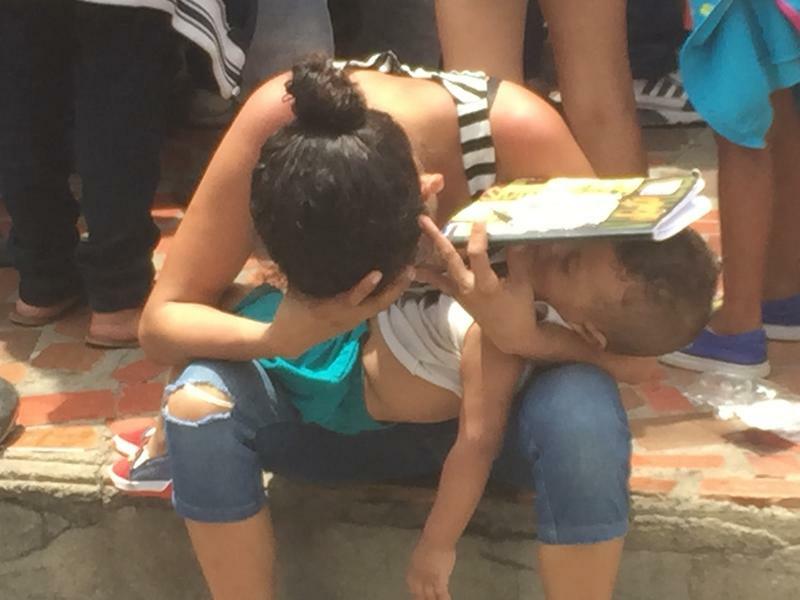 The first three stops were planned largely to bring medical treatment to the millions of Venezuelan migrants escaping their country’s economic collapse – the world’s worst today. Those refugees are overwhelming health and social services in neighboring South American countries – especially Colombia, where Comfort will visit two Caribbean ports, Turbo and Riohacha. The latter is close to Colombia’s eastern border with Venezuela. “Comfort is a sign of our enduring commitment to the region," said Coast Guard Rear Admiral Steven Poulin, director of operations for the U.S. military’s Southern Command, or Southcom, based in Doral. 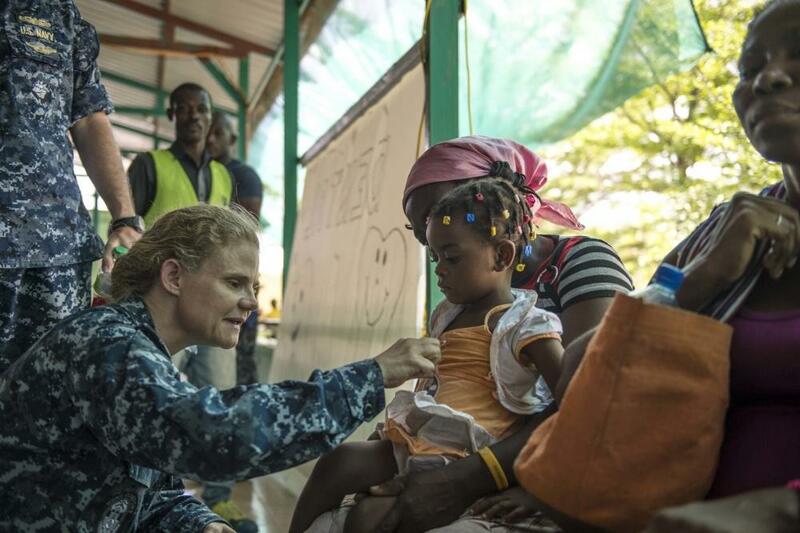 Medical staff from the USNS Comfort treating patients in Haiti in 2015. Venezuelan expat groups in South Florida had urged Defense Secretary James Mattis to deploy the Comfort, which has made five previous visits to Latin America, because Venezuela’s humanitarian crisis includes severe shortages of food and even basic medicines like antibiotics. When WLRN visited Colombia this year, U.N. World Food Program directors pointed to acute malnutrition among Venezuelan refugees, especially children. Admiral Poulin said the ship should be able to alleviate the suffering there. The U.S. has not had to shoulder the Venezuelan refugee burden. In fact, it has made it harder for Venezuelans to receive U.S. visas. So it’s raising its aid to countries that are absorbing the exodus – about $55 million so far. But Poulin emphasized those countries’ own citizens will also be served by Comfort. “We worked very closely with our partner countries on where we could provide the best medical care to the most needy communities," he said. Venezuelan medical refugees waiting in a hospital emergency room in the Colombian border city of Cucuta this year. Poulin also said the humanitarian mission hopes to help improve medical services and infrastructure in those countries. "It's a great opportunity to exchange ideas, learn new techniques and have a chance at professional development." He added most of Comfort's medical work will be done onshore rather than onboard. As Borders Tighten, Will Desperate Refugees Soon Face No Escape From Venezuela? 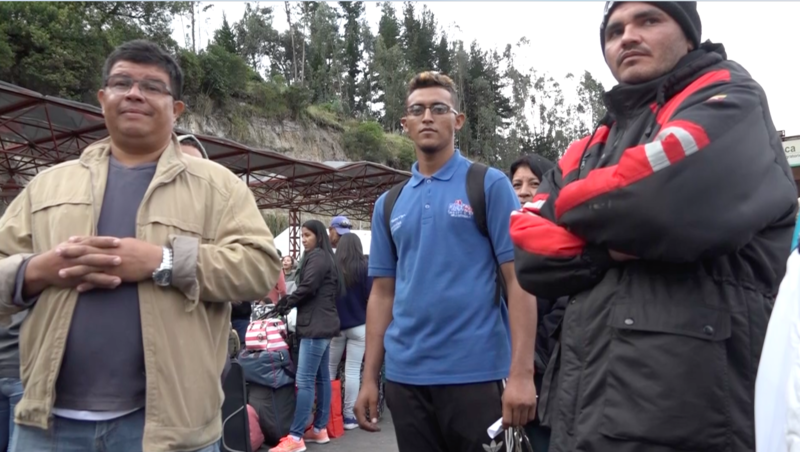 Last week José Molleja became one of the countless Venezuelans stranded on the border between Colombia and Ecuador. The 22-year-old Venezuelan can’t find enough work to live in crisis-torn Venezuela. So he spent a week on a bus getting from Caracas to join relatives who’d already emigrated to Ecuador. But when Molleja arrived he was stunned. Before, Ecuador had only asked Venezuelans to show a photo ID to enter the country. Now the country was suddenly making them present passports. 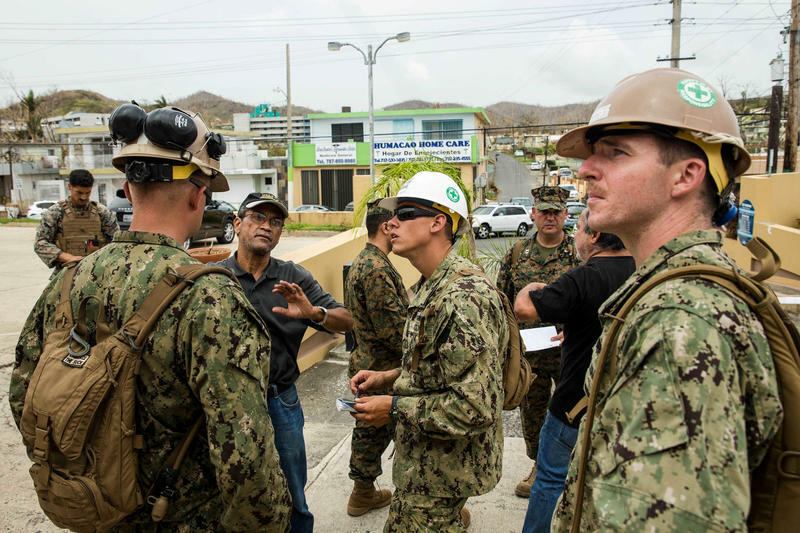 The Trump administration is stepping up US military involvement with disaster recovery efforts in Puerto Rico. Hurricane Maria tore across the island Sept. 20, leaving almost no part of the US territory undamaged. A week later, some were questioning the speed of the administration's response.